Join the Inner Circle! Get my free e-newsletter! Click below to get early access to new courses, learn about new products, and receive subscriber-only deals! All about The Auburn Skye! 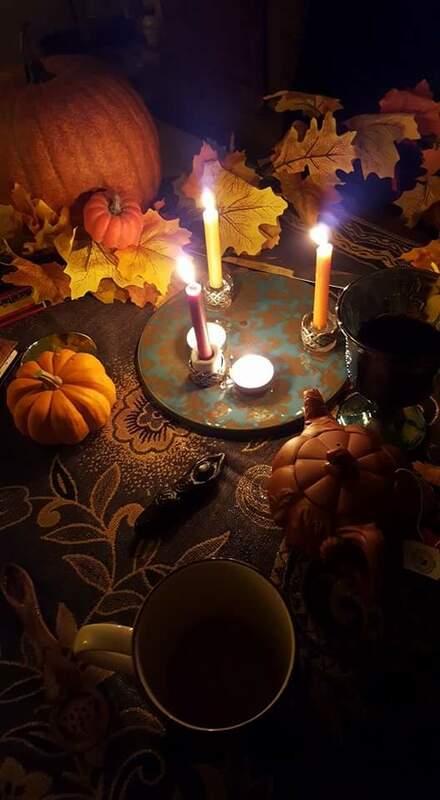 Imagine a misty path covered in fallen russet and wine colored leaves, leading you to the quiet cottage where all manner of witchery is brewing. If we lived in a different time, I’m the one you would find inside that cottage. But instead, we meet each other here! I am a folkloric regional witch, a priestess, and a maker of magical moments. The Auburn Skye specializes in offering unique online courses and workshops on magical topics, as well as curated spell kits, for weaving your own spells at home! Need something special for an event, a gathering, or a milestone celebration? I would love to help you build a ritual to remember! The days have passed when people could go to that little house just on the edge of town to seek out the help of a witch to meet their needs, wishes, and goals. So, I offer you a hand of help across the Skye from my own magical cottage to yours. Sign up here to join the Inner Circle Receive my e newsletter filled with helpful information, along with updates on new courses, products, and discounts and freebies available exclusively to Inner Circle members!